If you are 55+ -- willing to admit it – and didn’t go with us on this trip, I’d like to tell you just what you’re missing! First of all, this group takes these trips on a very comfortable Mid-America bus. You just sit back, tell everyone around you how great your grandchildren are, and leave the driving to them! Then we stay in very clean, modern hotels with an excellent complimentary breakfast and free cobbler and ice cream before you go to bed!! Do I have your attention yet?? Also, you can’t beat the price, because as a group you get reduced rates that you wouldn’t get otherwise. If you don’t think that is a good deal, just ask any of the 60 people who went with us on this trip. 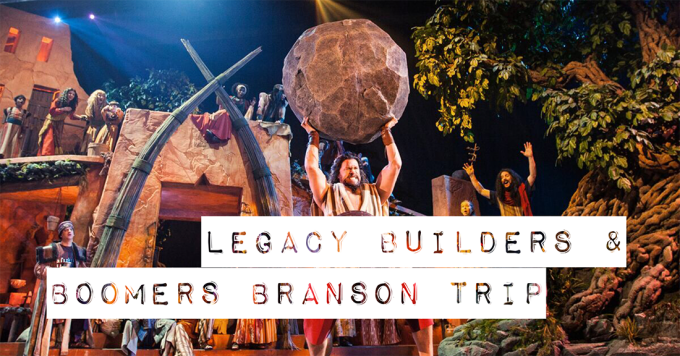 The “main attraction” for this trip to Branson was to see the play “Samson” at the “Sight and Sound” theatre. If you haven’t experienced this theatre, you’re really missing a great experience. What they are able to do with scenery, sound and special effects is equal to or better than you would see in a “Broadway Theatre”!! We have seen such plays as “Noah and the Ark,” “Miracle of Christmas,” “Joseph,” “Moses,” “Jonah,” and now “Samson.” Each time before going, you wonder: “How are they going to ‘simulate’ the ark?” “How are they going to make the Red Sea divide?” “How are they going to simulate Jonah being eaten by a fish?” This time (Samson), I was a little concerned the whole theatre would implode in the last scene. One of the great things about all of these plays is that at the end they transition to the connection between the story and the Gospel of Jesus Christ. It was a great experience and brought the Bible story of Samson to life! After the play, we took a short ride to Point Lookout, MO. for dinner at the College of the Ozarks. For many of us, this wasn’t our first time to do this, but it is always very satisfying in many ways. First of all, this is a college where the students earn their tuition by working 15 hours per week in a vocation that interests them. So, the restaurant is completely managed and manned by students. We were welcomed into a banquet room with linen covered tables, and just like a five-star restaurant, enough forks and knives that forced you to pay attention to the rules of etiquette. There were screens on the wall that said “Welcome, First Baptist Church of Wentzville.” The food was great and served with a smile. The vision of College of the Ozarks is to develop citizens of Christ-like character who are well-educated, hard-working, and patriotic. To achieve this vision, the College has Academic, Vocational, Christian, Patriotic and Cultural goals. Even as College of the Ozarks has evolved through secondary and junior college stages to the present four-year liberal arts institution, the fundamental goals of our no-tuition college have remained the same. We learned that it was highly sought after. They said they receive over four thousand applications a year, but only three hundred fifty students are accepted. So, we not only had a very satisfying meal but felt that we were contributing to worthy students’ education. After our dinner, we rode back to our hotel in Branson for free cobbler and ice cream before retiring for the night. On Saturday morning, after our complimentary breakfast, we again headed south to Lampe, MO. for a day at Dogwood Canyon Nature Park. This is a 10,000-acre park, straddling the Missouri – Arkansas line. Not at all extraordinary, unless you like open-wooded areas, with trout-filled streams, waterfalls, and close up views of deer, elk, bison, and long-horned cattle in their natural habitat. It was a beautiful morning and we all boarded these open trams (pulled by a truck) for a two-hour tour of the canyon. There was a guide on each tram that would point out the sites such as the “Glory-Hole” (a cave, beneath and behind a waterfall), a pond filled with “Golden Trout” that can only be found in this park, and another site in California. The two hours seem to fly by. We were brought back to a pavilion (beside the “trout-filled stream”) where we had a picnic lunch. After lunch, while we were waiting for the tram to pick us up and take us back to the entrance lodge, Mark Hodge strolled down along the stream and “lo and behold,” there leaning against a tree was a fishing rod with a fly on the end on the line. With just a few casts and in a matter of minutes, Mark caught two rainbow trout (2+ lbs.). Pictures were taken and then they were released back into the stream. When we returned to the lodge, many of us checked out the large treehouse behind the lodge built by “Treehouse Masters” who have a series on TV. Maybe it’s just because I like the outdoors, but I could have stayed there in that park and explored for at least a couple weeks. It was a very memorable experience that I would definitely do again. So, that was the “boring” weekend the “Seniors” had to suffer through. All of that, plus the fellowship, making new friends, and getting to know each other is priceless. We’re not at all a club or “closed group”. You are welcome to join us in the many activities we have each year. 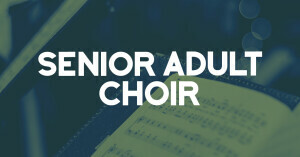 Visit our table in the foyer before or after Sunday morning worship. Find out what is coming up and join in the fun. North Italy. July. Both bring to mind fun and smiles in their own unique way. When joined together by the simple preposition “in”, North Italy in July takes on a whole new meaning. Let me tell you about what we discovered on a July 5-13 mission vision trip there. The Missouri Baptist Convention began work in Northern Italy last year and wants churches to go partner with a church or church planter in that area. When we think of Italy, we automatically think of Rome, the Vatican, and the Roman Catholic Church. That is accurate, but while over 95% of the population in Italy claim to be Catholic, less than 10% are actually practicing their faith and attending church. That leaves a large number of people who are unsure of their faith. That is our target audience. 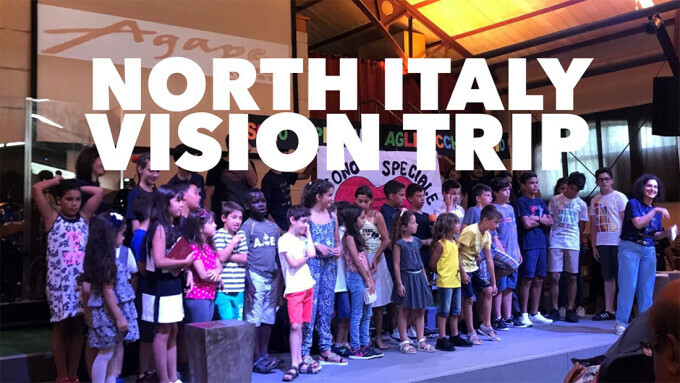 On July 5th, ten Missouri Baptists from across the state joined the trip organizer from the Missouri Baptist Convention, Rick Hedger and his wife Sandee, on a vision mission trip to North Italy. Four were from a Kansas City area church, and four of us were from Wentzville. Departing Lambert airport on Thursday morning, we made a connection, then flew overnight arriving in Venice on a bright, sunny Friday morning. Italian Customs was quick and easy, and we were soon on a bus, heading to our hotel in Mestre, a Venice suburb. The hotel we stayed in was across from the train station so we could get to the cities we were visiting easily and without the hassle of dragging luggage and checking in and out of hotels daily. That was a wise plan by Rick! After checking in, we had lunch and met with Jesse Schreck, a young church planter there in Mestre. Jesse shared how the gospel is not viewed the same by everyone there. Instead of being the sound of salvation and freedom, it may be viewed as another burden they must work for. 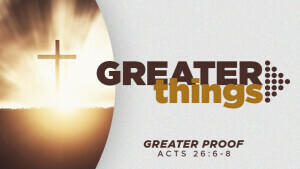 The need is for evangelists who can share the good news of God’s grace and mercy in the person of Jesus Christ. That is something we can do. Over the next five days we visited five cities and met with other church planters who were burdened for the souls of the people in their cities. Our mode of transportation was Trenitalia, the Italian train system. Initially confusing, it became very easy to use the more we used it. Treviso was a short 15 minutes away and we met Pastor Caio of Agape church and his wife, Astrid, who along with the interpreter told us about the work they had started and how it grew to five other cities, in home churches as well as other small meeting locations. One of the cities in work is Verona (remember Romeo and Juliet?) which we explored and fell in love with—just not enough time to visit, but will find time to pray for them. We returned to Treviso on Sunday and visited their church, which had 100-150 people attending. The youth had just returned from camp that week and were still excited to tell everyone what they had learned and how they had grown in the Lord. We were welcomed with open arms, and we especially appreciated being driven back to the train station that afternoon as it would have been a long walk! On Monday we jumped on the train to visit and prayerwalk around the university city of Padua. Pastor Caio has a home church established in Padua and asked us to pray for that work. University towns usually have a humanistic mindset that is not open to the gospel. He told us that people want to learn English and using English as a second language (ESL) training was an opening to sharing the good news. Like all the cities we visited, it was ancient and had beautiful buildings everywhere. By Tuesday we were becoming fluent in using the Trenitalia ticket kiosks and were ready to try the faster bullet train to Firenze, also known as Florence, the capital of Italy’s Tuscany region. Renowned for many masterpieces of Renaissance art and architecture, it is home to Michelangelo’s “David” sculpture and many buildings that you would recognize byphoto. We prayer walked our way through the side streets and met and had lunch with Pastor Scott Pethtel and his wife Dominque and their two daughters. They work with another couple who planted Mosaico Church 8 years ago, and today has an average attendance of 110. The church services are in English which draws those wanting to hear or learn English. Again ESL training is the opening used for sharing the gospel. Before returning from Florence that afternoon we met with the International Mission Board coordinator for all of Italy, Charlie Worthy. Charlie has been in country for over 15 years and knows how to share the gospel in Italy. His first question for us was, “What does your church do well?” Once we know that, it is easy to determine what we can bring by way of support to the mission field in Italy, or anywhere. Charlie has created a summer work program for college age young people who are interested in missions in Italy. He has had over 70 interns involved over the past four years. Let me know if you want more information. The next day we took the train to Trieste, northeast of Venice, over by the border of Slovenia and met with Tyler and Jessica Stewart and their two young sons, Antonio and Giacomo, good strong Italian names! They arrived in Trieste less than a year ago and are currently in language training with plans to plant a church within the next 18 months. We would like to revisit when they are ready. Our final day was spent sightseeing and touring around Venice. It is an adventure just to get there. A bus or train will get you to the boat ferry and taxi terminal which is the public transportation around Venice. Upon arrival at the terminal, we caught the ferry to Saint Mark’s Square and joined thousands of my closest friends from around the world. Literally. While waiting for a team member at the Dukes Palace at Saint Mark’s, we met a group from New Zealand who were on an around-the-world cruise! The Square is amazing with the intricate stone sculpture and the art works on display. The view of the bay is beautiful and memorable. Trekking across several bridges over the canals and through the streets, we made our way to the Rialto, the famous bridge whose name has been used on theaters, restaurants, beaches and even cities worldwide. But, when we saw the thousands of people in Venice visiting the Basilica of St. Mark, we cannot help but wonder how many of them have heard the good news of Jesus? Sure, they know about the Jesus on the cross, but do they know the resurrected Savior who wants a relationship with each of them? We want to share that good news with them. It will take time, but we know how to do that. Are you ready to go and be a part? This was a vision trip, but we will return with a team next year. There is planning to be done and recruiting team members as well. Watch and listen, as details will be forthcoming in the bulletin and website.